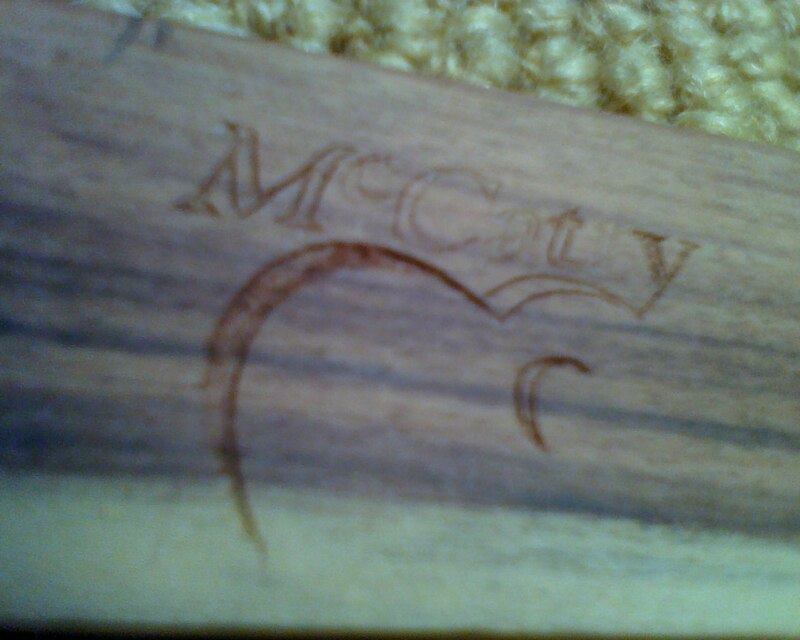 This inlay might get a little drawn out, mainly because I think it's going to take some time to do right. 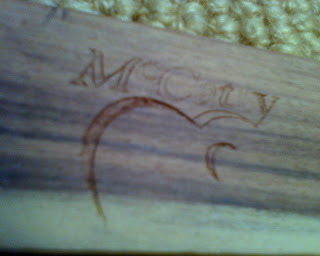 I wanted to do a logo of sorts on the headstock and came up with what you see below. 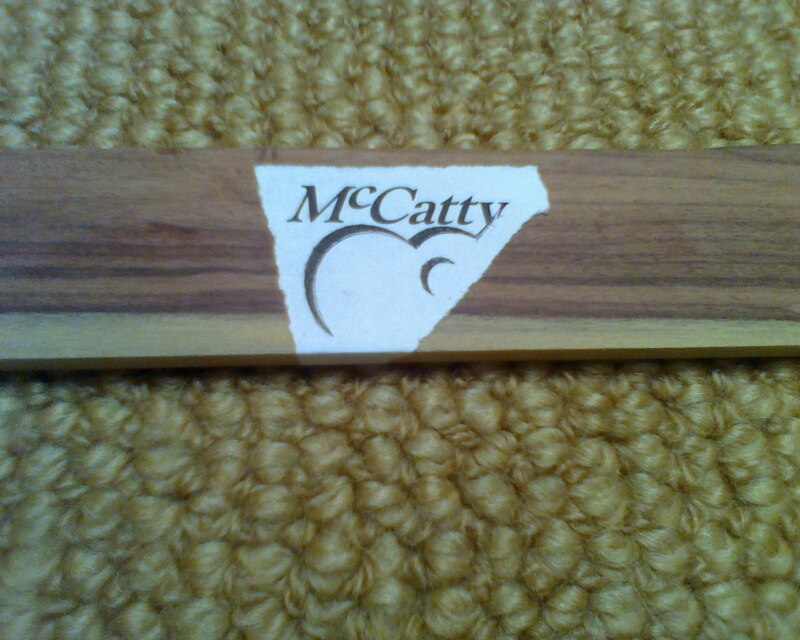 This logo is reminiscent of of that old logo, but with a little guitar flavor – more me. Carving the letters out with an exacto knife. 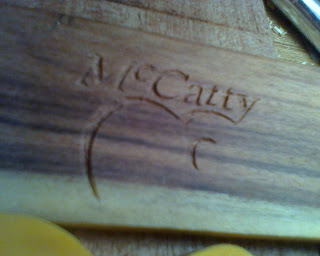 Done with cutting the wood, mostly – probably some more when the inlay peices are done. 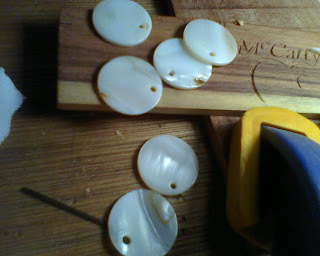 Then I'm going to attempt to inlay shell material... Mother of pearl can be purchased for around $40 per sheet (plus shipping) for inlay material... I'm cheap, so I found these shells at Joe Ann fabric store for less than $4 and will be using these instead; same thing... just not in a sheet. I almost bought a sheet of M.O.P. online – even had all forms filled out but just couldn't put the cc number in... Thought the price was just too much and knew there must be better sources. I'll do some test cutting tonight – word of warning: I've read that this stuff has carcanagentic properties... So if anyone trys to cut this stuff wear a mask.